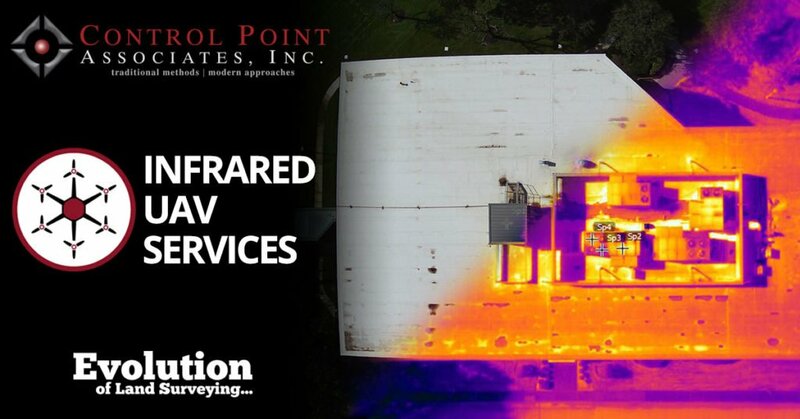 Infrared UAV Services from Control Point Associates, Inc.
Control Point Associates, Inc. continues to innovate and expand our UAV services by offering high-quality infrared inspections to our clients. Equipped with a high-resolution FLIR radiometric thermal sensor and 4K video camera, our UAV fleet can quickly and efficiently capture actionable data in a single flight. The advanced cameras record data at the pixel level delivering accurate, real-time insights. While your roof might look to be in great condition to the naked eye, there may be minor leaks that could lead to mold or structural damage. 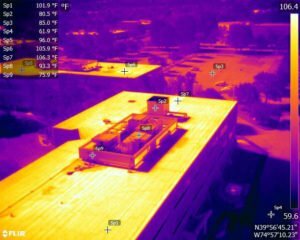 Our non-invasive infrared roof surveys detect otherwise unobservable areas of water penetration. By finding the trapped moisture in your roof membrane, and the insulation underneath, problem areas can be corrected without the expense of replacing the entire roof. Our UAVs allow us to view the results of the inspection from the ground, without having to step foot on your roof. All solar panels require periodic inspections. With our infrared camera, we can detect connection issues, overheating cells, and physical damage. Overheating solar cells reduce the power output of a panel, and can even crack the glass cover, allowing in moisture and resulting in panel failure. Infrared inspection finds defective cells and electrical components so they can be replaced, maximizing your array output and efficiency. Air infiltration and missing insulation contribute to increased energy usage and higher utility bills in commercial buildings. 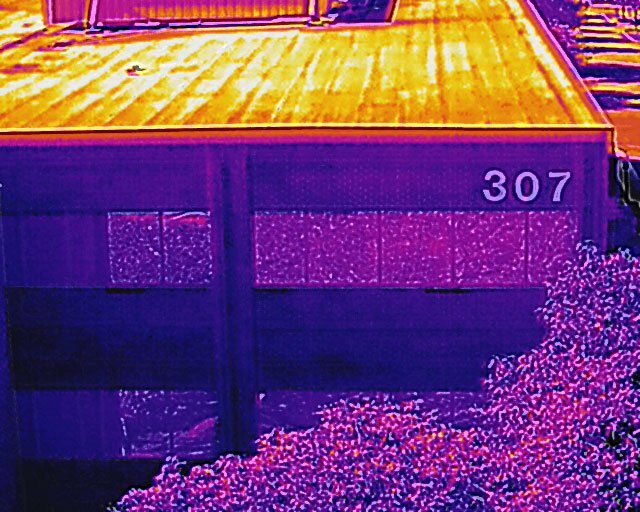 Infrared building envelope inspections are the fastest way to find leaks around window frames, molding, and sashes. Our UAVs can collect data from areas that are otherwise inaccessible. 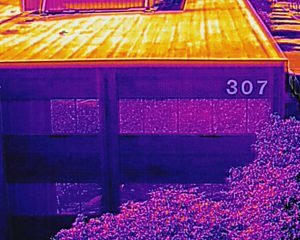 The Infrared UAV Services provided by Control Point Associates, Inc. help you see what conventional cameras can’t. To find out more or schedule a consultation, contact us today.